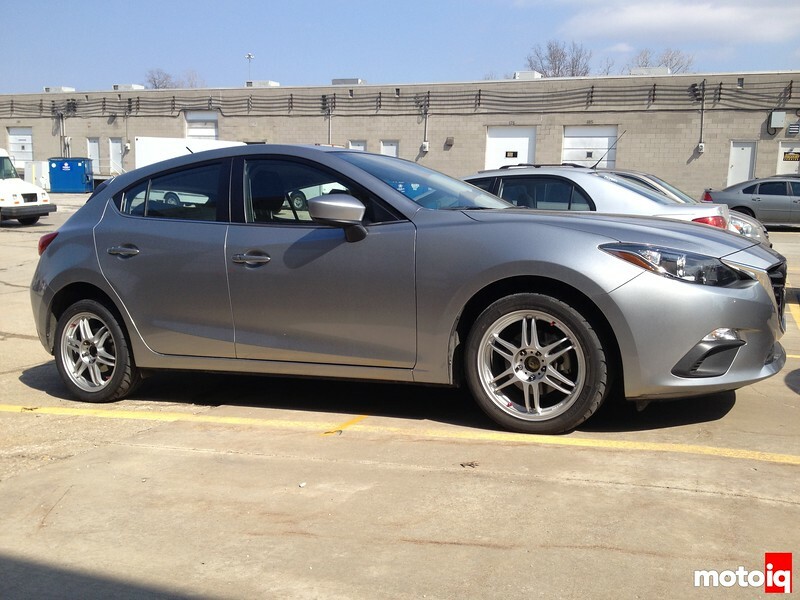 Now that Spring has sprung here in the Mid-World, it’s time to get our 2014 Mazda3 ready for some autocross fun. 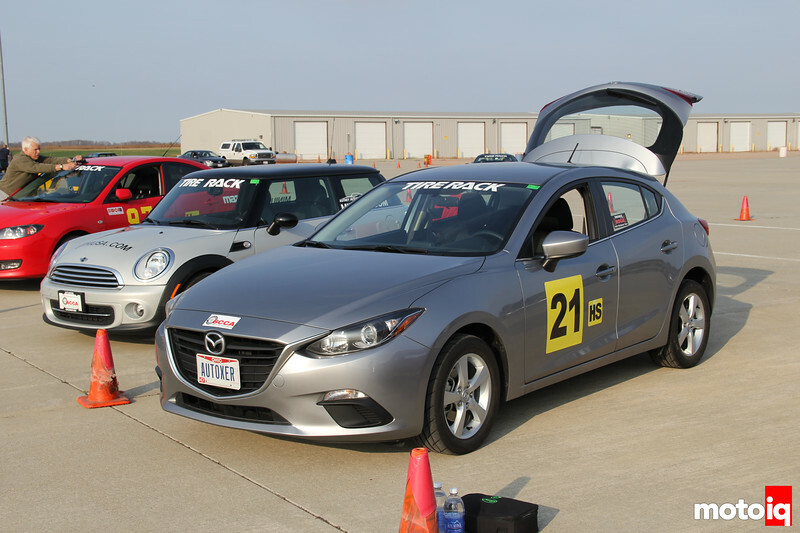 We are planning on competing in SCCA’s Street Touring F category against MINI Coopers, Acura RSXs and Mazda2s, as well as other Mazda3s. This car still sees regular commuter duty and there are very few aftermarket parts available—but we’ll be tearing into it anyway as we want to at least get the ball rolling towards our goal. 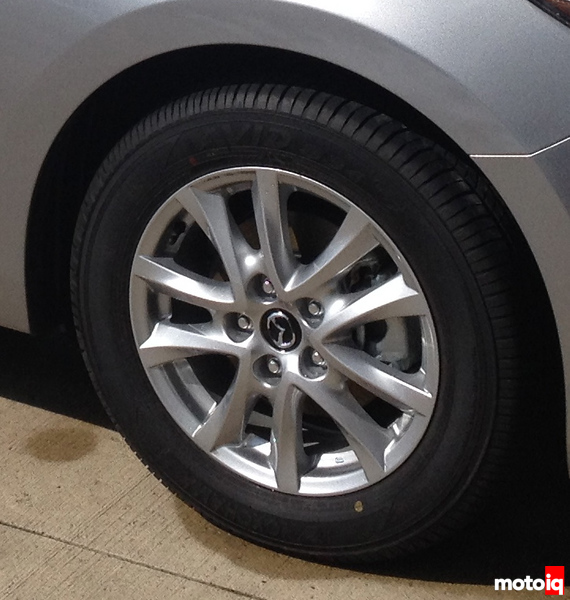 Last year, we ran the car in H Street, with just the addition of some hand-me-down Hankook RS3s on older Mazda3 alloy wheels. Fun, but not thrilling. The big issue at the moment is that there are no aftermarket struts or shock absorbers available for the Skyactiv chassis. Koni is currently working on them but they are at least six months out. That’s most of the 2015 season, so we’re just going to forge ahead and see what we can do with the stock dampers. 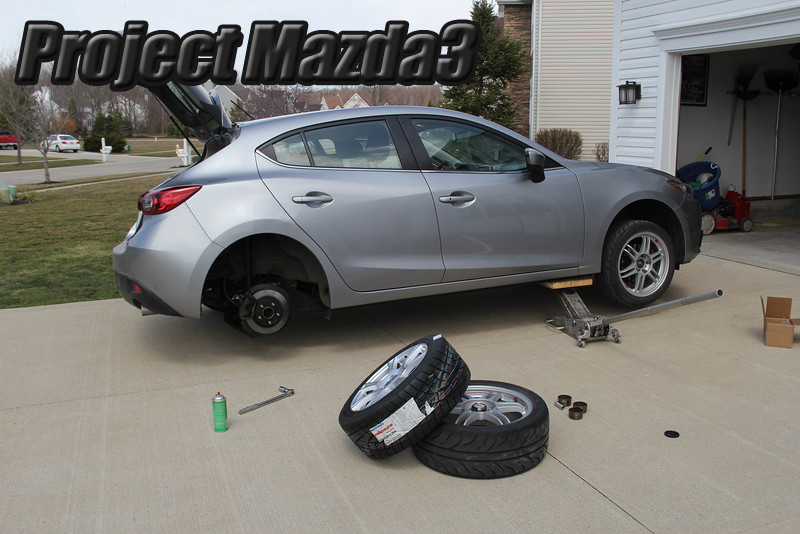 The stock wheel and tire package is pretty tame: MPG-friendly Yokohama 205/60R16 all-season tires on 16×6.5-inch alloys that weigh 17 pounds a piece. We believe that the trick to making a car work for autocross is to maximize the contact patch under the rule set, both statically and dynamically. By statically, we just mean making sure we have the best tires and widest tires on a wheel that meets the letter of the STF ruleset. By dynamically, the we want to limit body roll (and resulting camber change) so that the keeps gripping mid-way through the corner. This installment will take care of the static contact patch and get us going on the dynamic portion of things. Our next step along the wheel and tire idiocy that consumes most autocrossers was a different set of wheels and tires for our street duty. A friend of ours had gotten rid of his MX-5 and had some Kosei T1S wheels that still had some decent Dunlop Direzzas on them.